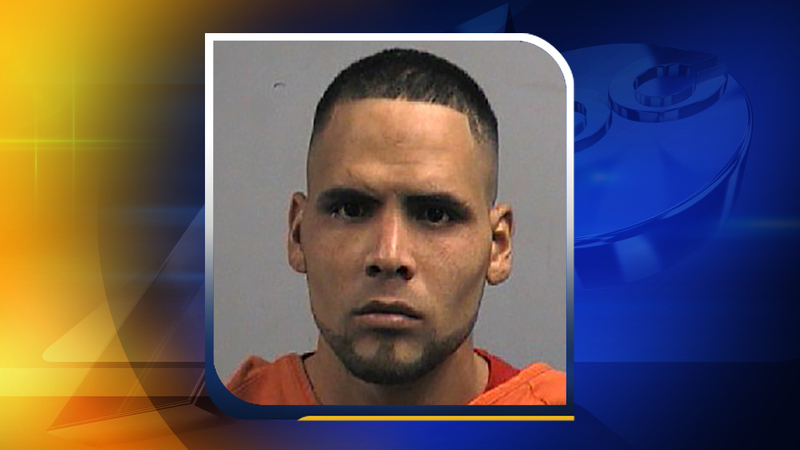 DUDLEY, North Carolina (WTVD) -- A Wayne County man who had been under investigation is now behind bars, facing a number of charges related to larceny. The Wayne County Warrant Squad arrested Jesus Manuel Fonseca-Diaz, 26, on Friday, the Wayne County Sheriff's Office announced Wednesday. Detective Cornell of the Criminal Investigations Division had Diaz under investigation and had secured warrants for breaking and entering, larceny, possession of stolen goods, breaking and entering to motor vehicle, larceny of motor vehicle and obtaining property by false pretense. Diaz, of the 100 block of Ridge Drive in Dudley, is being held under a $27,000 bond. Investigators also have warrants out on Diaz's brother, Isidro Diaz Fonseca, who is not in custody.